Molly Patel was only seven years old when the alien alliance known as the Covenant destroyed her homeworld and killed her family. As one of the few to escape the glassing of Paris IV, and despite the United Nations Space Command winning the war on behalf of humanity, Molly never forgot how much she had lost. 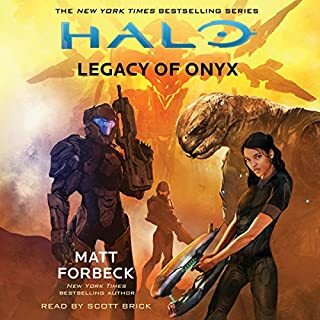 Nine years later, when her adoptive parents - research scientists specializing in ancient Forerunner technology - are called to the mysterious and wondrous place known as Onyx, Molly vehemently objects. Find. Claim. Profit. In a postwar galaxy littered with scrap, it's the salvager's motto. 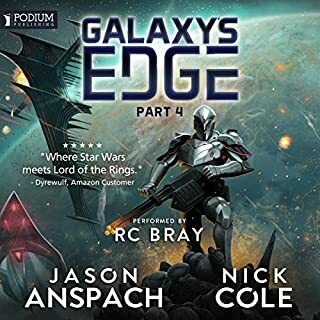 And with a fast ship and a lust for adventure, Rion Forge has certainly made her mark on the trade. 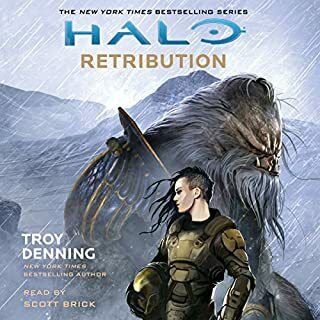 When the discovery of a wrecked UNSC cruiser brings Rion's past back to haunt her, stirring fresh hope into a decades-old wound, she's hell-bent on finding answers: What really happened to her father and his ship, the Spirit of Fire? The New York Times best-selling series based on the blockbuster Xbox® games! 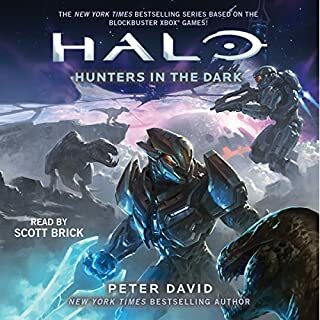 Now, after many Spartans have been killed in battle, and the Master Chief is listed as MIA, the UNSC decides to create a new generation of Spartans to defend humanity from threats both outside and within. When they come to Buck with an extraordinary proposition, he is forced to make a life-altering decision. 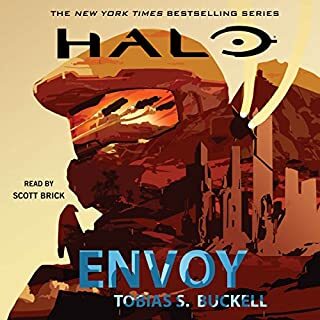 With the Covenant War finally over, is it time for him finally to retire to the sidelines for a life he could only dream about...or is he prepared to step up and become part of the military's new blood? Decent story, let down by a few factors. The narrator - overall (once things got moving) he was good, but there's something about his tone of voice, the way he finishes sentences etc. that didn't excite the text like other narrators do. Then there's the amount of metaphors and similes that colour the book - at some times it felt like the author was trying to squeeze too many 'descriptors' into one paragraph, and was more like a collection of metaphors and similes strung together by other text. It wasn't horrible, but made it feel more teenage than young adult / adult in audience. What was one of the most memorable moments of Halo: New Blood? 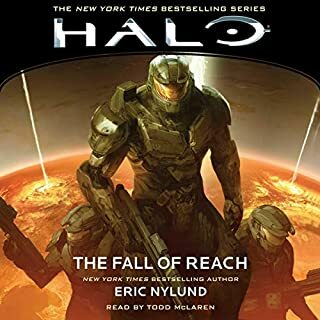 It was great to go on such a journey across the Halo timeline and tie in so many things - the twist near the end was good, showing some raw emotion which up until then had just been bottled up into characters that were constantly "on mission". Dont want to spoil anything though. 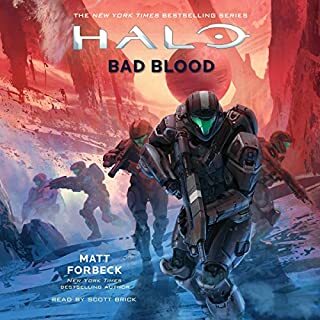 Did Halo: New Blood inspire you to do anything? 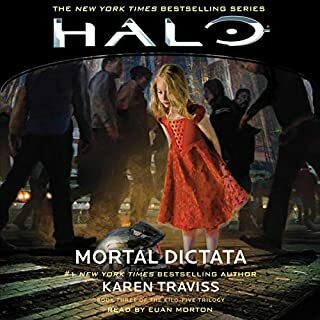 Not particularly - was happy to go onto the next audiobook, where the difference in Narrator is like chalk and cheese (currently listening to No Country for Old Men). 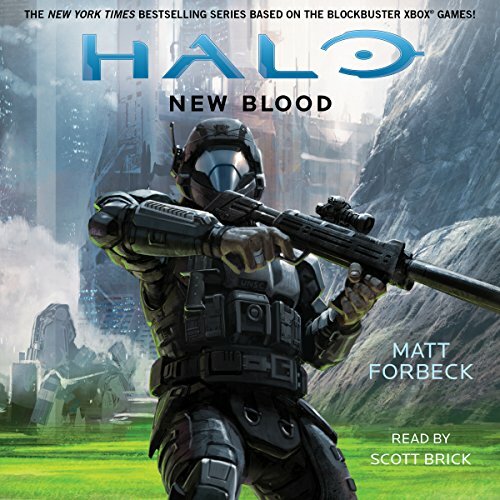 I'll still be listening to future Halo books, even if narrated by Scott Brick. 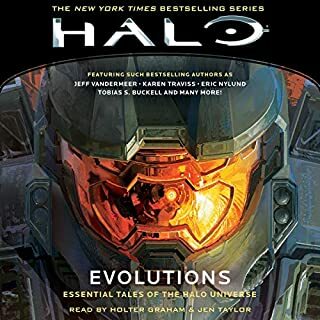 Connects Halo ODST to the Halovers even better than the game. Narrator is very good. 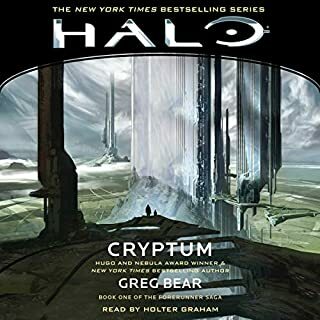 Definitely sheds light on the Spartan 4 program and events after the covenant war had ended. Scott Brick doesn't change pitch ever which makes all the character personality suffer. Wish Holter Graham had narrated this, or even Johnathan Davis. 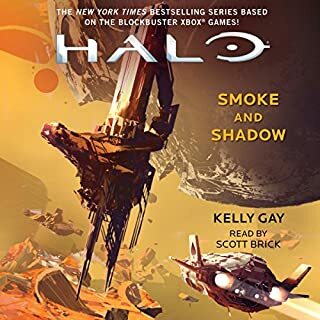 They've both proven to be able to add flavor to the Halo audiobook experience whereas Scott Brick doesn't even try. Explains how Buck joined the Spartans in Halo 5. Jumps around a bit much but gives just enough plot in each arc to keep things interesting. I could only improve on it by adding sound effects and background music a La the Star Wars Audiobooks. a good story that was tarnished by a monotone narrator. Please stop with this narrator! 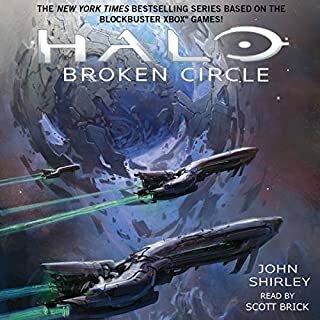 This story really expanded the Halo canon. It took a character from one game and really fleshed out other characters, plots, and backstory of other games. 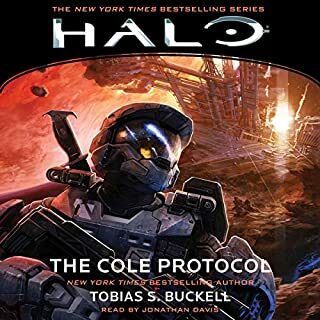 It was told in a way that is unique compared the other Halo books. It also did a good job of dealing with some heavy issues of loyalty, death, relationships and honor. I enjoyed this story very much. 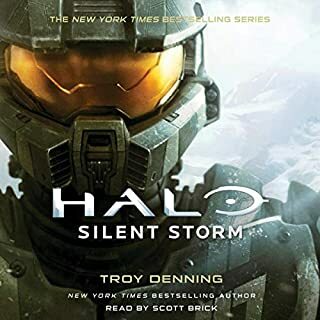 Almost a quarter of the story was retelling Halo : ODST's storyline. If I wanted to hear that I would just play the game again. The rookie's plight was bull added to bring some ill faded depth to a mediocre addition to the Halo universe. 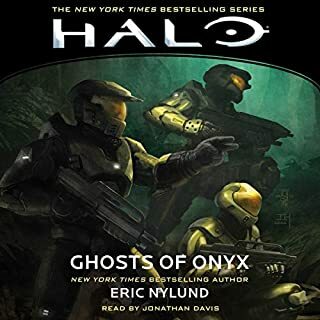 Not to mention the creators of this audiobook should have had Nathan Fallon "Buck" from the game narrate the freaking boo seeing as it Is written entirely from his point of view!!!!! You may think my critique to harsh, but Eric Nylund has some large shoes to fill and these new writers are disappointing me left and right. Magazines are called clips more than 20 times I a freaking chapter, and there is barley and mention of the advanced technology we crave to hear details about. 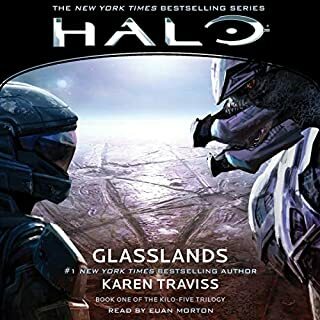 If this is the direction the Halo universe is being taken in I may have to take to writing my own fan fiction. 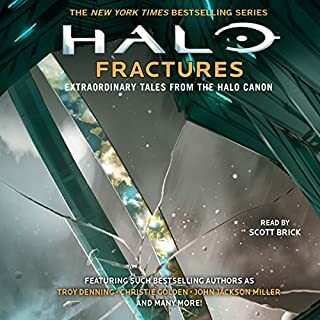 It will hold more closely to the universe and feature more fantasy detail about the Spartan equipment and training we all love to read about. Get it together people, we love this universe and these poor additions are not going to fly for long. Halo New Blood was gorgeous. 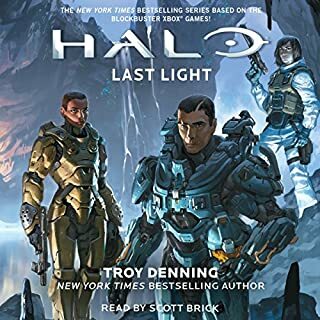 This euphoric experience is a must for any fan of halo 3: ODST, or halo in general. I was compelled the whole time, this was the story telling I've been dying to hear. I was skeptical about the pacing at first, but then it all flawlessly full circled. The way Buck explained his way of story telling really was amazing, I could relate, being a somewhat controlled scatter brain when it comes to telling long tales of the past times. Matt Forbeck really pulled on my heart strings, making me hate yet love his plot choices. it never felt like certain characters were made just to be a plot device. All the new and old characters were given a breath of fresh air, delving deep into the psychology of just why they're, the way they're. Expanding onto Buck, showing a side that couldn't be portrayed in the video game. It let you feel the weight he carried around, the loss, the longing for veronica, the helplessness and betrayal. Finally giving Dutch what he truly wanted, made me tear up. After following all his journeys through the years, it felt like a well deserved reward, not only for him but the fans. with out spoiling anymore, I will say, I truly loved this novel and hope matt can make more in the future. thank you so much for putting so much heart into the ODSTs that I've grown to love and admire through the years. A big shout out to Scott Brick, you did an amazing job narrating.